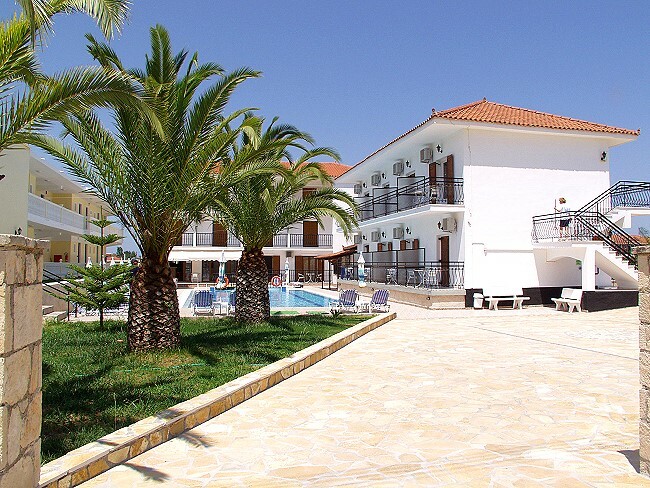 The Litsa complex consists of two buildings, with 15 spacious and fully furnished apartments. 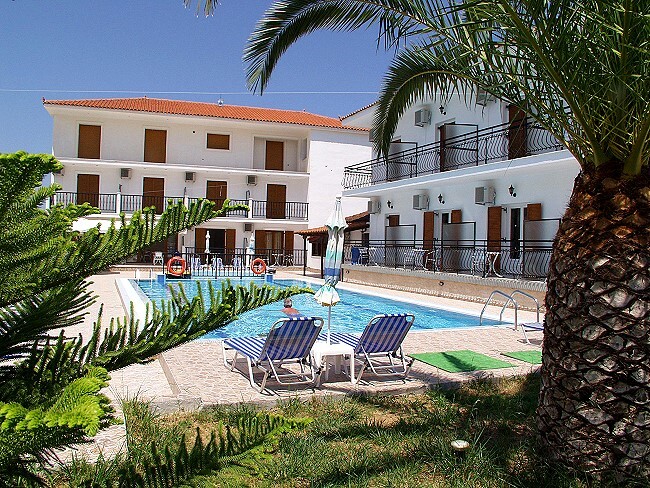 All the apartments have double or single beds, fully equipped kitchenette with all utensils and cooking facilities, ensuite bathroom with shower, air-conditioning, fridge, safe deposit box,iron, towels and veranda or balcony overlooking the swimming pool and surrounding countryside. 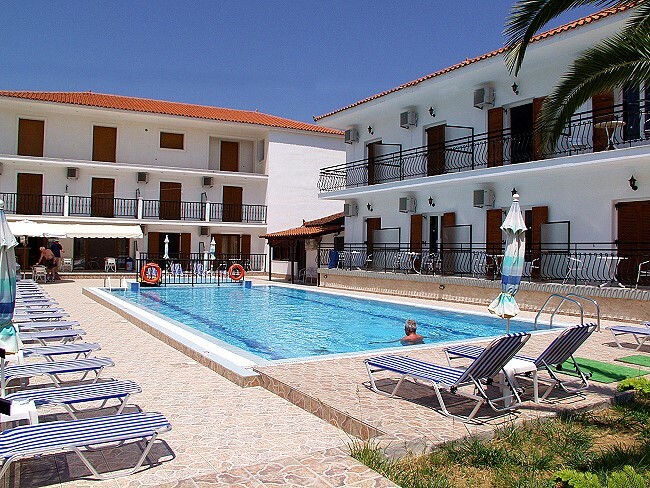 The swimming pool located in the centre of the complex is the ideal place for relaxation, surrounded by the impressive verandas of the apartments and the snack bar. Take a break from your sunbathing to visit the snack bar, and enjoy a cool fruit juice, an ice cream or a light meal.